March 22nd is World Water Day. When you go to the water cooler this week, remember that not everyone has access to clean drinking water yet. The UN General Assembly recognized access to water and sanitation as a human right in 2010. Almost a decade later, today, 844 million people worldwide still lack access to safe drinking water, according to the World Health Organization (WHO). In low- and middle-income countries, 38 percent of healthcare facilities don’t have an improved water source, 19 percent don’t have improved sanitation, and 35 percent lack water and soap for handwashing. In India alone, approximately 200,000 people die every year due to inadequate access to safe water based on a report by The National Institution for Transforming India (NITI Aayog). Clean drinking water and sanitation are critical for public health. They are also a basic foundation for social and economic progress. We have two more decades to reach the Sustainable Development Goal 6: water for all by 2030. This may seem like a long time, but getting clean water to every part of the world is not an easy task. And, the challenges will even increase. Half of the world’s population will be living in water-stressed areas by 2025 per WHO data. The affected areas will extend to regions that have not dealt with water stress before. For example, the Hindu Kush Himalaya Assessment concluded that one-third of the ice in the Himalayas and Hindu Kush mountains will be lost by the end of the century due to climate change. The rivers that originate in these mountains are the water source for nearly 2 billion people, according to the report, which was compiled based on collective knowledge by more than 300 experts. Technology can help tackle our global water crisis and reach sustainable development goals. The new generation of intelligent technology can monitor, analyze and predict water usage. Tech can even identify sources of water waste. For example, the pipe and water storage solution company Vectus Industries is using mobile and Internet of Things (IoT) technologies to alleviate water wastage in India. The company identified leaky water pipes as the main water waste culprit. Vectus built a mobile app that helps plumbers access vital information about pipes and other joints, including the best way to fix and prevent leaks in irrigation systems and water pipes. With less water spilled, more is available for people and agriculture. Technology can also help improve water storage and transport, which are vital to bringing clean water to towns and healthcare facilities. Another way to use technology to protect our water resources is by monitoring the quantity and quality of our water and the level of pollution with drones. Using drones has become common for industrial purposes, such as for the planning and surveying of construction projects. However, they can also be applied for environmental research and protection. The Race for Water Foundation, a charity organization dedicated to water preservation, has been using drones to survey plastic waste in the ocean and raise public awareness on the impacts of water pollution on the ecosystem and humans. These are just two ideas of how technology can facilitate bringing water to all by 2030. When you drink your next glass of water, take a moment to think about ways technology can address the global water crisis and how water preservation can become part of our daily life. Customer relationship management is a term you’ve likely heard if you have ever worked in the tech space. CRM software solutions have not always been as far-reaching as they are today. Over the last 40 years, CRM has evolved from a range of disparate business solutions developed for various customer needs. The earliest CRM tools were devices like Rolodexes, which you can hardly even find these days. True CRM didn’t exist in earnest until the ’90s when innovators like Brock Control Systems began to explore the automation possibilities of new database systems. By the middle of the decade, CRM had grown into an aid for contact management. Already, the technology was enabling organizations to maintain lists of customer contacts that were beyond the ability of human beings to manage. While these tools are assets, some people seem to be growing uncomfortable with them and may perceive them as intrusive. That isn’t to say that CRM is somehow mal-developed or outmoded, but in all our excitement to evolve and deploy these advanced tools, real relationships with customers have suffered in too many instances. We can establish that relationships are critical — that’s not controversial. What’s critical at this stage is having a technology available that helps you manage customer relationships in a way that feels human, not procedural or forced — and that gives customers what they are looking for before the competition does. Most people usually do respond to the follow-up, as they simply forget about the first touchpoint — but when does it become too much? We want to know what is the best time to send a follow-up message. What kind of follow-up message works best? Utilizing software that gives sales teams a quick, visual overview of the customer’s interactions with your brand is ideal. This, combined with marketing and sales processes, gives you an optimal chance of contacting prospective customers in a way and at a time when they will be most receptive. There’s no universal “right number of touchpoints” for everyone. However, there are standard points to look out for that should enable you to develop success profiles of different customers, based on historical data of successful sale opportunities. While most of us believe that we go through life making decisions based on rational conclusions, the truth is that most of what we do is based on emotion. It’s only after the fact that we find “rational” explanations for the choices we make. This doesn’t mean that we should ignore rationality, but it does mean that if you try to persuade people based solely on facts, you’re fighting an uphill battle. The first thing you should be trying to do with your prospective buyers is to show them that you are on their side, and make an appeal to something with which they have an emotional connection. Any outreach attempt should appeal to a want or need that is foremost in their mental landscape. This is a big part of what branding is about. It’s about creating a “brand personality” that your audience is likely to have an affinity for and be attracted to. Capsule. He oversees marketing, product and design decisions. Capsule provides a customer relationship management (CRM) SaaS platform that helps businesses stay organized, know more about their customers, build strong relationships, and make the most of sales opportunities, all while minimizing user input. Will Real-Time Rails in Canada Bring More Fraud? Next year Canada will launch the Real-Time Rails – this is a significant step in Payments Canada’s modernization program. Real-time payments offer significant benefits to consumers and businesses, but they are not risk-free. Experience from other countries that have real-time payments demonstrates that criminals will take advantage in a variety of ways. Countries that already have real-time payment schemes have had to manage the related crime. Currently there is little to suggest that Payments Canada has taken steps to stop this happening with the Real-Time Rails. The ‘Modernization Target State’ lays out Payments Canada’s vision for the future and it does talk about fraud prevention. The references are vague, however: “centralized fraud and risk management capabilities” are referenced but the nature of this protection is not defined. It is difficult to understand what format they’ll take, which types of fraud they’ll address or what access payment service providers will have to centralized fraud protection. Additionally, there is nothing publicized about the liability model that will be taken, particularly in the case of authorized push payment fraud. In the UK, the thorny issue of who should bear the losses when people are tricked into making payments to criminals lead to consumer group Which! launching a super complaint. The regulators are now looking to shift some of the liability from the customers to the banks, and a similar move has been made in Sweden. In Canada if banks are pushed to take liability then losses could be significant; if they don’t take liability they’ll still have issues related to bad publicity and reputational damage. Fortunately, other countries have had real-time payment schemes for a while – the most widely adopted is the UK’s Faster Payments scheme, which is a decade old. This means that Canada can learn from early adopters about the fraud that happens and the protection that can be deployed. 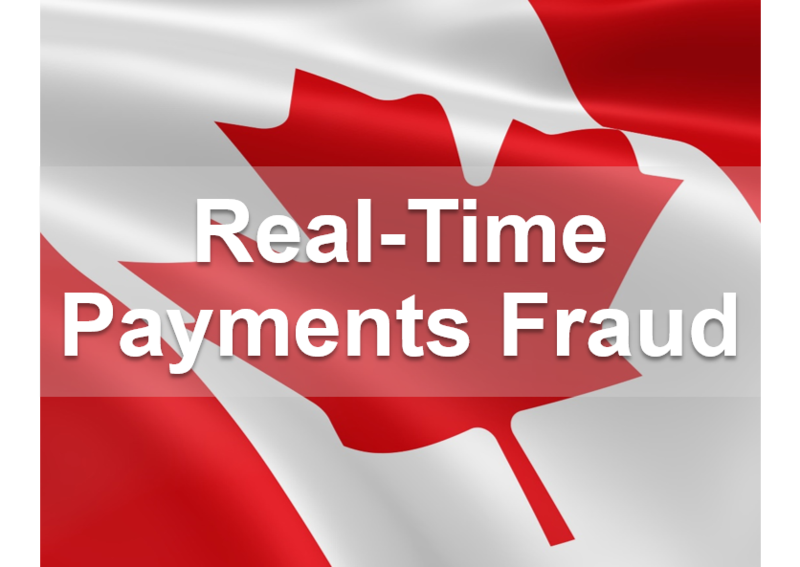 Read our white paper ‘Canadian Payments – Adapting Fraud Strategy to the Real-Time Rails’ to understand more about fraud in a world of real-time payments and the solutions that can help. The kitchen can be a forbidding place. Grocery planning isn’t most people’s idea of a good time. Neither is meal prepping. But Chefling, a Sunnyvale, California startup that raised $ 1 million in January for its artificially intelligent cooking app, promises to take care of the hard work for you. It today announced a partnership with Bosch and Thermador, a Bosch subsidiary, to bring internet-connected smarts to home cooking appliances. The new and improved Chefling app boasts what the startup’s calling UltraConnect, which leverages natural language processing to parse recipes for culinary keywords and coordinate multiple appliances. Items like cooking time and defrosting temperature are automatically extracted and sorted in an in-app, chronological list with tappable buttons that kick off each step. UltraConnect will be available on iOS starting October 7, and on Android before the end of 2018. It’ll work both with Chefling’s curated collection of tens of thousands of recipes and custom recipes uploaded from within the app, the company says. Chefling can do more than preheat an oven. Spotlight features include a shopping list creator, a pantry management tool that keeps track of perishables in your fridge (and lets you know when they’re about to expire), and tight integration with online retailers and grocery stores. Also on tap: voice apps for Google Home and Amazon’s Echo speakers (and soon Microsoft Cortana devices) that walk you through cooking instructions, let you add items to the aforementioned shopping list, and suggest recipes based on what’s in your kitchen. Earlier this year, Chefling incorporated Google’s Vision API into its shopping list flow, enabling users to tack on groceries by scanning store receipts. Currently, it can recognize receipts and barcodes from places like Walmart, Target, and Safeway, and in the future, it will be able to ID specific products. In the field of creativity and ideas, a data strategy may seem like a burden to cultivate. Especially when the knowledge and resources to support a comprehensive data strategy may seem out of reach, too difficult, and too expensive to build. But what if we told you it wasn’t as difficult to deploy as you think. And the results? 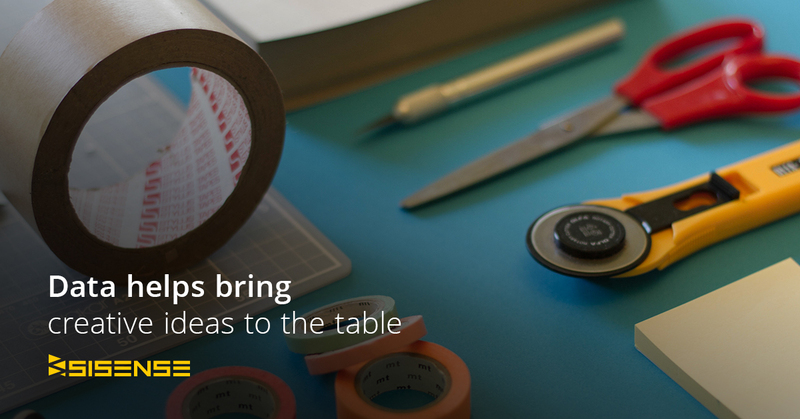 Well, you can release a flood of new ideas to support and enhance your creative cycle. Imagine being able to see and understand how your audience interacts with all your online content (your “digital assets”): see which articles and whitepapers are getting the most traction, which videos are shared the most, and which pieces of content are duds. Sound like a dream world? It can be a reality! Learn more about Digital Asset Management and how to get the most out of your data in an exciting Bynder’s webinar with special guest, me! What does it take to share insights? You may already see the value in adding data to your marketing efforts but where do you even begin? DAM and other data analytics initiatives can help creatives better understand the impact their content is having and how to make it even better (and stop wasting time on content that goes nowhere). If you’re going to dig into your content, simpler is better. Look for a product that gives you deep insights into the metrics that matter most to you (number of views, time on page, number of shares, etc.) without putting a bunch of complex steps between you and the data you need. Marketing people and creatives are expected to know and understand the data behind their pieces, but most aren’t skilled in database languages and the use of advanced analytical software. If you’re a creative looking to dig into your own numbers, make sure your tool is user-friendly enough to use without calling IT every five minutes. Depending on the size of your company and marketing departments, you may find yourself saddled with an array of tools measuring different metrics. While having lots of data is great, that data is usually siloed. In order to get a holistic view of your marketing efforts, it’s important to be able to mashup data from your email automation tools, CRM, advertising platforms, social media management tool, and more. Connecting this data (along with the insights from a simple, easy-to-use DAM system) will give you a clearer picture of how people are interacting with your assets and allow for insights to drive creative ideas to improve these interactions. Each role in your marketing organization makes decisions based on different data. For directors, it might be important to understand where the team stacks up against important key performance indicators (KPIs)—like conversions and leads. For a marketing manager, it’s important to see how often and how long their audience is interacting with their assets (pageviews, time on page, shares, etc.). For branding and creatives, the most relevant insights might revolve around A/B tests on color and visual choice. Whatever DAM and data analytics tools you’re using, make sure you’re getting the level of detail you need for the KPIs that matter most to you. Every person on your marketing team should have a single place to go in order to gain the insights they need. When you have one tool that can pull in all of the relevant data and present what’s needed in a tailored dashboard for each person, you’re in business. Dashboards are wonderful tools but if they don’t provide information on the right KPIs, your team will find them irrelevant and adoption will go down the tubes. So, what should you be measuring? As we mentioned above, it will depend on the person you’re creating the dashboard for so the most important thing to do is sit down with your end users and understand exactly what they want and need. Quantifying your creative operations is never an easy task but analytics can help make it easier. Join our combined webinar with Bynder. We’ll demonstrate that having a comprehensive data strategy is not as expensive, difficult, or resource intensive to deploy as you may think. Register for our webinar with Bynder, “Measure the Performance of Your Content with DAM Analytics,” to learn more about what you should be measuring, how to identify your key content metrics, the right framework for measuring ROI, and dashboard examples tailored for different stakeholders. San Mateo-based SpaceTime Insight is an industrial IoT (IIoT) software analytics platform that helps companies protect their devices and assets across their network. It works with a range of companies from manufacturing, transportation, energy, and more to minimize downtime due to technical failures, using machine learning to predict the probability of asset failure. The company had raised around $ 50 million since its inception in 2008. Virtualitics, the pioneering startup that merges AI and VR/AR with big data, recently announced the close of its $ 7 million Series B. The round was led by by Centricus, a global investment platform, and with participation by existing investor the Venture Reality Fund (‘The VR Fund’) and other private investors. This follows a $ 4.4 million Series B that was closed only last April, which was led by The VR Fund. This last round brings Virtualitics’ total funding to date to an excess of $ 11 million to supporting their vision of leveraging emerging technologies in order to enable and unlock the potential of big data in ways that are otherwise hindered or altogether impossible with simple 2D tools and platforms, including the 3D tools that are only represented on 2D panes and windows. Indeed, VR/AR-driven reporting powered by machine learning promises to do what has defied the reach and grasp of all of its predecessors. Other startups in this space, like DatavizVR, are welcoming the news as it adds fuel and a sense of validation for their sector as a whole, raising the profile of the technology’s applications in remedying the most pervasive big data challenges faced by the majority of enterprises today. Their WebVR-powered platform, 3Data, allows users to create, collaborate, and present 3D graphs seamlessly to an unlimited amount of viewers on any hardware or any device via the open web, reducing what would normally take hours down to minutes. Farmers Business Network, maker of a software platform that helps farmers across the country pool data, announced today that it has raised a $ 110 million Series D round. The round was led most notably by Temasek, Singapore’s state investment firm. Other participants included returning investors Kleiner Perkins Caufield & Byers and GV (formerly Google Ventures). The series D round brings the total amount raised by Farmers Business Network to more than $ 194 million. The company was launched in 2014, and its leadership team is well-connected within Silicon Valley. Cofounder and CEO Amol Deshpande was formerly a partner at KPCB, and cofounder and VP of product Charles Baron previously led investment initiatives in alternative energy at Google. That background has enabled Farmers Business Network to secure a large amount of venture capital in a field that’s traditionally been overlooked by VC firms. According to AgFunder, an online investment platform for ag tech startups, venture capitalists invested $ 3.2 billion in agtech startups during all of 2016. A membership to Farmers Business Network costs farmers $ 600 a year. Customers then get access to three different types of services: an analytics platform, where farmers can submit information on things like seed performance and fertilizer cost; an ecommerce platform, where farmers can buy chemicals, seeds, and fertilizers; and a crop marketing platform that allows farmers to manage bids from potential buyers. Essentially, what Farmers Business Network is doing is collecting crowdsourced information for farmers in one place. But Baron explained that up until now, doing so had been difficult, due to consolidation in the seed and agrichemical industry. Baron’s brother-in-law is a farmer, while Deshpande worked on agtech investments for KPCB. Baron says that the idea for Farmers Business Network came to them while they were meeting with various farmers across the country, including three farmers in Illinois who essentially compared price points with one another, though without the help of a platform like Farmers Business Network. According to Baron, Monsanto and Dupont “control over 70 percent of the corn and soybean seed market.” That alone limits the variety of seeds farmers have access to. Additionally, Baron says that many farm retailers — who sell seeds, fertilizers, and chemicals that often come from one of these big players — don’t post their prices online. That means farmers often have to go into the store in order to find out what the retail price is. This leaves room for price discrepancies, as retailers may try to sell a farmer on a bundled package, or offer ad hoc discounts. “We’ve found farmers paying sometimes as much as two or three times [more] for the same product,” Baron told VentureBeat. Baron says that it has nearly 5,000 member farms, which account for more than 16 million acres of farmland between them. The company has more than 200 employees, mostly split between its San Carlos office and its national operations center in Sioux Falls, South Dakota. Rob Leclerc, cofounder and CEO of AgFunder, told VentureBeat in a phone interview that, as of now, Farmers Business Network remains relatively unchallenged. Amplero, a marketing technology company that uses artificial intelligence to fuel one-on-one customer interactions, is updating its software to let companies bring their own machine learning models to the mix. This way, companies with their own data science teams will be able to import models that are built with other technology, in addition to accessing learnings from Amplero’s product itself. The software will then collate the insights from the home-built machine learning models that companies bring and apply its own abilities for modeling many different customer interactions at the same time to provide businesses with better insights. That makes Amplero’s software — which is already ingesting data from CRM systems and other sources to provide its existing recommendations — significantly more useful. The technique that Amplero started with is known as multi-armed bandit experimentation, after a problem in which a gambler has to pick which slot machines to play. Letting companies bring their own models will help customers expand what they use the system for. Garrett Tenold, a senior director for product management at Amplero, announced the platform expansion at the VB Summit AI Innovation Showcase in Berkeley, California today. The expansion builds on existing functionality in Amplero’s software that lets customers export insights from its software so that they can be analyzed and used elsewhere.